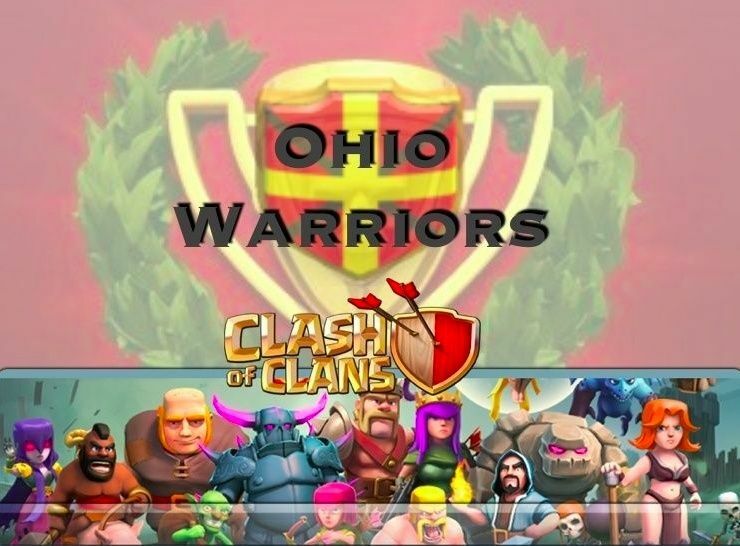 On January 17th, 2015 hostilities between the Ohio Warriors and MysticDarkness came to end and we were victorious. This was a most impressive victory, as this was a highly disciplined clan that had a great deal of offensive skill. By war’s end, every one of us had been either 2-starred or 3-starred. Even Kimber and Josh. Our clan is special. We have the will to win every war, at any individual cost. This war was managed strategically very well, holding just enough attacks back to seal victory. Participation: We again had 100% participation, which is the norm for us. TH7’s: Great job with dragon attacks from our TH7’s. In fact, I believe our dragon attacks are improving, with clearly more thought and planning being given, which will be noted on the attack analysis. Great job from our TH7’s. Also, I should not that some of our TH7 bases are presenting trouble for our opponents, forcing them use several attacks to 3-star. Some even require a TH8 to come down to get the job done. EXECUTION: We had 9 failed attacks compared to their 7. Just a brief synopsis of our failed attacks is warranted, before we get into our successfully executed attacks. It’s important that we learn from the mistakes and tactics that do not work. Do not take it personally if your attack is listed here, it is for the good of the clan, and to help everyone learn. Brian’s attack on #15 Wilber: Brian’s giant attack on Wilber failed because clan castle troops were not eliminated. Level 5 wizards will nuke a pile of giants in a couple of shots, and that’s what happened. When you’re scoping out your opponent, tap the clan castle to see where the white circle is. That circle shows you where YOUR troop(s) must cross in order to draw out their cc troops. Some people use a single giant, others use a single hog. Others use a barb. It doesn’t matter what you use, just get them out of the cc. Once they come out, place a cheap troop in the far corner where no defense can reach. Your goal is to get all of the cc troops in that corner and encircle them with archers, barbs, or wizards. Eric’s attack on #19 Blitz: Eric tried to use a dragon to eliminate all of the cc troops. The problem is dragons fire slowly, and wizards pack a punch. So when the cc troops killed the dragon, there was nothing left to deal with the cc wizards, and they incinerated the hogs instantly. It’s better to stick with barbs or archers on the cc troops, and then drop the dragon in if you need to. Mo’s attack on #25 xTokyo: Clan Castle troops were not eliminated, and they nuked his army. Mo’s attack on #20 hhhhh: Clan castle troops were eliminated, but it took an enormous amount of troops to do it. Bunch those cc troops up and encircle them. Also, lightning spells were used to take out an AD, and then giants were sent in without enough wallbreakers, and no healing spells. So, the giants got hung up on walls and killed, and there were still 2 AD’s left to kill the dragons. If you’re using giants, you should probably carry some healing spells, and they can go a long way. Also, a giant-dragon combo may not be the best air-ground combo because any time you have an air-ground combo, it really is predicated on eliminating all of the AD. Probably a better way for this one would have been to go all-dragon if you’re using lightning to take out the AD. Or forget about the dragons, and use giants with extra wizards and wallbreakers, and use healing spells. EBauch’s attack on #22 saskia: This one wasn’t really Ebauch’s fault. The cc troops were dealt with, but the main attack was eliminated. The 30+ level 2 hogs hit a giant bomb just outside of the base. Level 2 hogs don’t have a lot of hit points, and a giant bomb takes them down to almost dead. Even though Ebauch dropped a heal spell on them right away, it was too late, because a mortar shell landed on them and killed all 30. Obviously there is no way of knowing where they are, but if you have level 3 and below hogs, you may want to send 1 hog in first by himself to make sure the path is safe. That base was a perfect target for hogs though. This was just a very unlucky instance. Dad’s attack on #14 henschel: Dad used a traditional GOWIPE with 2 archers, 12 wallbreakers, 2 golems, 2 level 2 Pekka’s, a level 5 cc Pekka, and 16 wizards with 2 rage and 1 healing spell. This was executed very well, as he sent in the golems and wizards to clean up the edges, followed by the Pekka’s. When the golems, pekka’s and wizards got close to the center he dropped a healing spell on them, quickly followed by a rage. It was pretty much textbook GOWIPE resulting in 69% destruction and 2 stars. Excellent job Dad. Barrjosephson’s attack on #13 gundro: This was a modified GOWIPE with 6 barbs, 26 archers, 1 golem, 9 wallbreakers, 17 wizards and 3 Pekka’s (1 in the cc) using 3 rages. Joe eliminated most of the cc troops with archers, and then sent in the golem, and finished off the cc troops with his barb king. Wallbreakers opened up the wall to the center wall, and wizards took out the outside structures. Joe dropped a rage on the wizards and Pekka’s to get them to the center where they finished off the TH. Classic attack, getting 83% and 2-stars. Well done. Healing is not always necessary if your army doesn’t have far to travel, and the 3 rage spells worked well in delivering the damage in this case. Buckeyefanforever’s attack on #12 caspa1977: This was an excellent combo-attack using level 3 hogs, wizards, archers and 4 dragons (1 in the cc) Buckeye used 3 hogs (1 at a time) to draw out ALL of the cc troops. After eliminating the cc troops with archers and wizards, he sent in the hogs and healed them twice. They did not take out all of the defenses, but they did take out all of the AD which allowed the 4 dragons to perform. The result was 87% and 2 stars. Buckeye actually ran out of time, or he would have 3-starred. Well done! Shushu’s attack on #19 Blitz: Shu had a nice air-ground combo attack using 16 level 2 hogs, 20 archers, 10 wizards, and 3 dragons. He used a single hog to draw out the cc troops and eliminated them with archers. Shu then sent in the hogs at the bottom, and the cleared out two of the 3 AD’s, and the dragons had a fairly clear path to the TH. Shushu used his rage to help the dragons get to the TH where they got it done. The result was 70% and 2 stars. Well done Shu! Bryce the Great’s attack on #21 SkaterChaos: BtG used 9 level 2 dragons, 4 wizards and 3 archers with 3 rage spells to attack this spiral base layout. The cc troops were actually addressed in this dragon attack, and the dragons were deployed in 2 small groups at the bottom, and then raged to the AD’s at the bottom of the base. The dragons performed masterfully taking out the TH, and then one AD left to beat, which they did. After the AD’s were gone, he was home free. Great job with 100% and 3 stars. Lepios’s attack on #17 syracuse: I normally do not include all-dragon attacks in the post mortem, but the execution on this one was superb. Lepios deployed them in a medium sized group at about 3 oclock, and then raged them toward the center. When they got right to edge of the center, where they would start taking major fire from all 3 AD’s, he dropped a healing spell on them, and then a rage. They pushed right through the TH, and all 3 AD’s. As with most all-dragon attacks, once the last AD is gone, they are usually home free, and this was the case here. Great job for 3 stars Lepios. Pati’s attack on #3 Besir: Pati’s GOWIPE consisted of 2 golems, 21 wizards, 3 Pekka’s (1 in the cc), and 1 archer with 2 rage spells, 2 jump spells, and 1 freeze spell. The jump spell is just made for a GOWIPE it seems. Pati sent in the golems at the top, and wizards to clear away the outside structures. Once the wizards had cleaned up she dropped the jump spells in a path to the TH, where the golems, wizards, and Pekka’s went. When the Pekka’s got near the TH, Pati dropped a freeze spell on the x-bow and raged the forces. They quickly destroyed the TH and continued their path of destruction. The result was 68% and 2 stars, and this one was fun to watch. Well done. JoeDBarr’s attack on #7 Dandeman: Joe used 30 level 4 hogs (5 in the cc), 6 barbs, 24 archers, and 5 wizards with 3 healing spells. When you’re running a hog attack, you have to eliminate cc troops because hogs tend not to fight back against them like other troops do. Joe drew out the cc troops by dropping barbs into the hole in the Dandelion’s base where the Tesla was, and then by sending in a single hog to get the rest. Joe sent in 2 main forces of level 4 hogs, healing them as needed, which hollowed out the base like termites. One note, on your base, tesla’s don’t count toward filling space in terms of the red boundary line. So this guy had a hole in his base because there were 3 consecutive spaces with nothing there. So be careful about that. The result on this attack was leftover hogs and 3 stars. Well done! Jared’s attack on #15 Wilber: Jared used 14 giants, 26 archers, 12 wallbreakers, 20 wizards and 3 healing spells. Jared sent his cc hogs in to draw out the cc troops, and dispensed of them with archers. He then sent in the giants, healing them as needed, and followed them with wizards. Once the outside structures were cleared, Jared sent in the remaining wizards and after the structures in the area were destroyed, they converged on to the townhall. The thing about most of the troops in the game, if you deploy them where there is nothing to attack, they tend to go inward, especially if that is where the nearest target it. So always pay attention to surrounding structures when you want your troops to go to a certain palce. The result was 68% and 2 stars. Well done. Special mention for some excellent dragon attacks: Milan, Shaun, dmsm, and Ebauch. Great job guys and gal! Your production was outstanding this week! Comments and Feedback welcome. Keep it civil. There was one other notable attack not mentioned above and that was Francis Marion's attack on DanzelD. This was a masterfully executed GOWIPE attack, and Go Wipe is exactly what he did to DanzelD. First, he used a giant, accompanied by 2 wallbreakers, to draw out the clan castle troops. CC troops were properly eliminated using the method described above using barbs and archers. The beauty of this base is that its simple, concentric rectangular design lent itself perfectly for a GoWiPe attack. Both golems were deployed at the opening left by the initial wallbreakers. Meanwhile, barb king was cleaning up the outside structures, along with a couple wizards. As the golems continue to take fire, the PEKKAs were deployed. In this case, the PEKKAs went to the periphery, but it worked out. Successive waves of wallbreakers punched through the inner 2 walls leaving a direct path for the main thrust of the army which at this point was a group of about 8 level 5 wizards. One of the golems turned around and accompanied the Wizards into the center where they were hit with a rage. At this point the base was about 2/3 destroyed and as one of the PEKKAs and the Barb King worked their way around the base, the wizards continued their destruction from the inside out. He ended up with 100% destruction, a perfect 3 stars. Used for this raid were 11 wallbreakers, 12 barbs, 8 archers, 17 wizards, 2 PEKKAs (1 from cc), 2 golems, 2 healing spells and 1 rage.